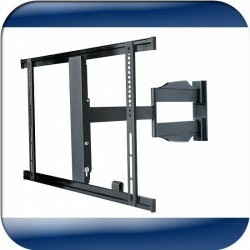 Full motion ceiling mount TV bracket for 30"- 50"(TVW9) TVs. Suitable for bed rooms, garages, study rooms, lunch rooms, waiting rooms etc. Maximum weight capacity of the TV is 60kg. Mount pattern is universal. Height is adjustable. 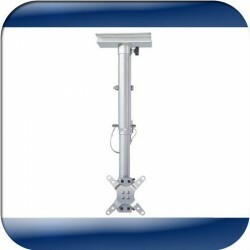 Ceiling mount TV bracket for LCD/Plasma 13”- 30”(TVW10) TVs and suitable for bed rooms, garages, study rooms, lunch rooms, waiting rooms etc. Maximum weight capacity of the TV is 25kg. Height is adjustable. 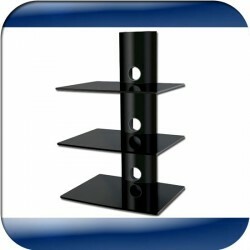 Elegant wall mount DVD/CD player shelf system to use with TV Wall Brackets. Complete system is hung on the wall below your TV. Load capacity all three shelves total is 20kg. Product dimensions (W x H x D): 445 x 355 X 535mm. 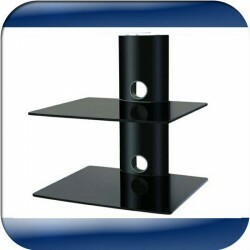 Elegant wall mount DVD/CD player shelf system to use with TV Wall Brackets. Complete system is hung on the wall below your TV. Load capacity all three shelves total is 40kg. Product dimensions (W x H x D): 445 x 355 X 731mm. 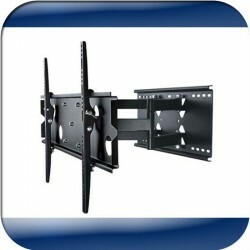 Wall Mount for Plasma/LCD TV 32" -60"(TVW1). 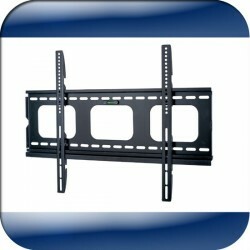 This product is designed to mount flat panel televisions to vertical wall. It allows you to tilt your new television up and down to 15 degrees without the use of tools. 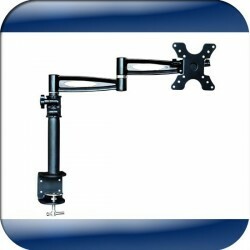 Double arm full motion articulating LCD/Plasma wall mount for 32" - 60"(TVW3). TVs with 47cm extension. Weight capacity is 60kg. Mounting pattern is universal and compliant to VESA standards. This bracket is specially made for NZ houses where the stud width is 600mm. 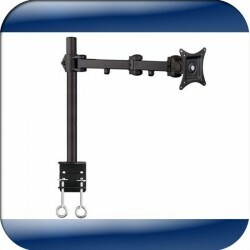 Extendable wall bracket for TV/Computer Monitor 24”- 37”(TVW5) with 51cm maximum extension. Rigid extruded aluminium construction. Durable powder-coated silky finish. Tilt up or down 15 degrees. Adjustable swivel 180 degrees. Single stud installation. 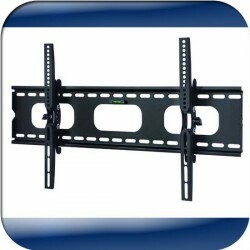 Use these Adjustable Arms with TV Bracket(TVW7A) where holes at the back of your TV doesn’t match with TV Bracket. Also use with TV’s which hasn’t got VESA Standard holes for mounting. Made out of steel with powder coated for long lasting. All the mounting screws are supplied. Computer / TV Desk Mount(TVW71) to securely fix to your table. Adjustable arms let you move the monitor with great flexibility. Elegant power coated aluminium arms. Load capacity 6Kg. Tilting 12 Degree and Swivel 360 Degree. Computer / TV Desk Mount(TVW72) to fix securely to your table. Adjustable arms let you move the monitor with great flexibility. Strong powder coated steel arms. Load capacity 10Kg. Turning 360degree and Swivel 360degree. 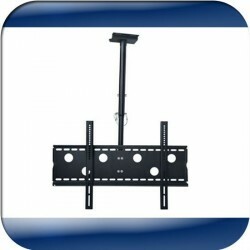 Thinnest motion articulating LCD/LED wall mount for 23" - 55" TVs with 61cm extension. Maximum weight of the TV this can carry is 25kg. Minimum distance from the wall to the back of the TV is 32mm. Maximum distance is 642mm. 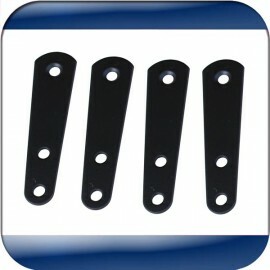 Extra thin wall bracket for LCD/Plasma 30”- 50”(TVW8) TVs with wall surface to the back of the TV is only 2.4cm. This mount has a security locking system. Maximum weight of the TV is 60kg. 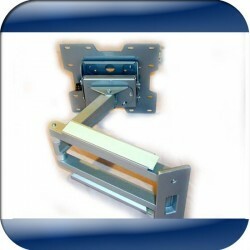 Mount pattern is universal and compliant to VESA standard.